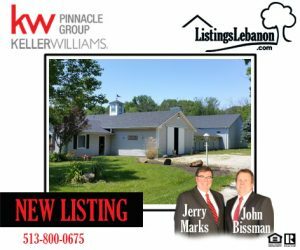 New Listing – 3575 Crestview Drive, Turtle Creek Township, Ohio 45036 – Farm and/or Working Horse Facility with 13 Stall Barn and indoor/outdoor riding arenas! Beautiful 9.5+ acre farm/working horse facility. Perfect for equine boarding and/or training facility. Features include new roof, 13 stall barn, indoor/outdoor riding arenas, tack/feed rooms, wash stall, fenced pastures w/drains, and office space with 1/2 bath. Currently NOT zoned residential but owner is working on zoning variance for a single family home.